JomaShop.com offers the extra $680 off OMEGA Aqua Terra Black Dial Men's Watch 231.10.39.22.01.001 for $3895 via coupon code DMOONMG680 . Features: Stainless steel case with a stainless steel bracelet. Fixed stainless steel bezel. Black dial with luminous silver-tone hands and index hour markers. Luminescent hands and markers. Month and date display at the 3 o'clock position. 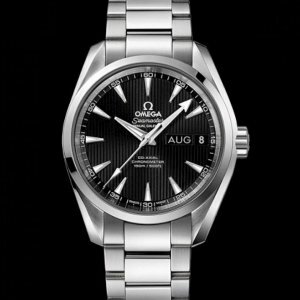 Omega calibre 8601 automatic movement with a 55-hour power reserve. Scratch resistant sapphire crystal. Transparent case back. Case size: 38.5 mm. Case thickness: 14.7 mm. Water resistant at 150 meters / 500 feet.